Many people still have the misconception that coming up with nutritious and yummy dishes take a lot of time and effort. 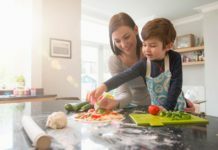 Although you do need to go the extra mile to look for delicious and healthy and fun meal ideas for children, you don’t always have to spend hours in the kitchen to come up with these dishes. As the old adage goes, “More hands make light work.” Get your children to help you out in preparing the meals. They can be in charge of washing and storing your produce. Ask them to peel and cut fruits and vegetables as well. However, make sure you supervise them, especially if they are using some sharp objects. You can also involve your kids whenever you are already cooking. While you’re boiling, baking, or grilling the meat, you can teach and supervise your children in making the sauce or with preparing the salad that will accompany the meal. When you cut, chop, or dice veggies in bulk ahead of time, you will avoid wasting several minutes chopping on busy weeknights (something that can be a hassle especially if you’re already tired and hungry). 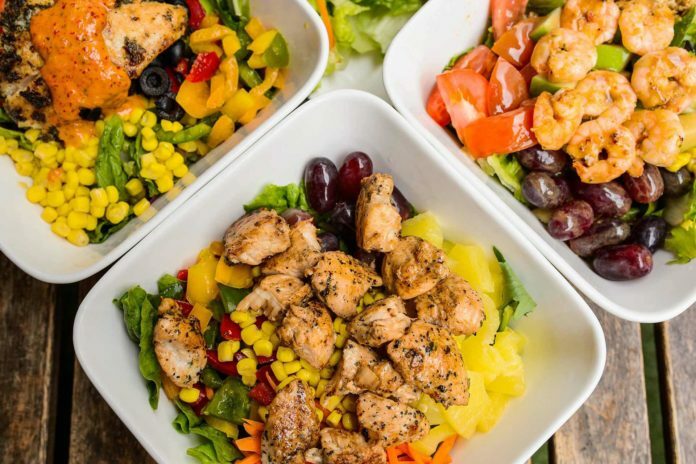 Chopped and diced raw vegetables such as carrots, onions and peppers that are sealed in plastic bags or containers and refrigerated properly can last for a week. A handy kitchen device you should consider having is a spiralizer or spiral slicer. You can make carrots, zucchini, and butternut squash noodles using this equipment for veggie pasta or to add in salads and other dishes. These veggies can stay fresh in the fridge for three to five days. Make a weekly menu plan and prep the ingredients before the start of the new week (you can do this during the weekend). You can even assemble some dishes completely in advance, refrigerate them, and simply bake or cook them come mealtime. You will save a lot of time in preparing lunch or dinner if you already have your ingredients prepared before you actually cook. You can also get your kids involved in all the prep work during the weekend so that you won’t have to do everything yourself. Roasting vegetables is a healthy cooking technique that brings out their natural sweetness. However, you will need at least 30 to 40 minutes for each pan of nutrient-rich goodness to cook. You can save time when roasting veggies by pairing different kinds according to their cooking times. You can bake mushrooms, asparagus, tomatoes, and other fast-cooking vegetables in just one pan. Slow-roasting vegetables such as broccoli, carrots, cauliflower, potatoes, and parsnips can also be cooked in just one go. To introduce different flavors in your protein, don’t use the same flavoring or seasoning all the time. You can save time and avoid boring everyone’s taste buds by preparing two or three variations of chicken at once and using aluminum foil dividers in your pan to separate them. You can marinate chicken breasts in Sriracha and wings with BBQ seasoning or whatever flavoring your family loves. When you weigh your chicken, beef, or salmon and put them on skewers, you help control the portion everyone eats. Kabobs are also faster and easier to cook. You can also cook up a batch and save some skewers for other meals. Different types of time-saving kitchen equipment, such as slow cookers and instant pots, have made it easier and faster for home cooks to prepare complete, delicious and healthy meals. Slow cookers or Crockpots, for instance, are perfect for making simple dump-and-go meals. You simply put your ingredients in and turn the cooker on based on the recipe. Nutrition advisors say that the key to healthy eating is adequate planning and preparation. When you do your prep work right, you’ll also spend less time in the kitchen yet still serve well-balanced, complete, and delicious dishes. All You Need to Know About Joint Venture. !